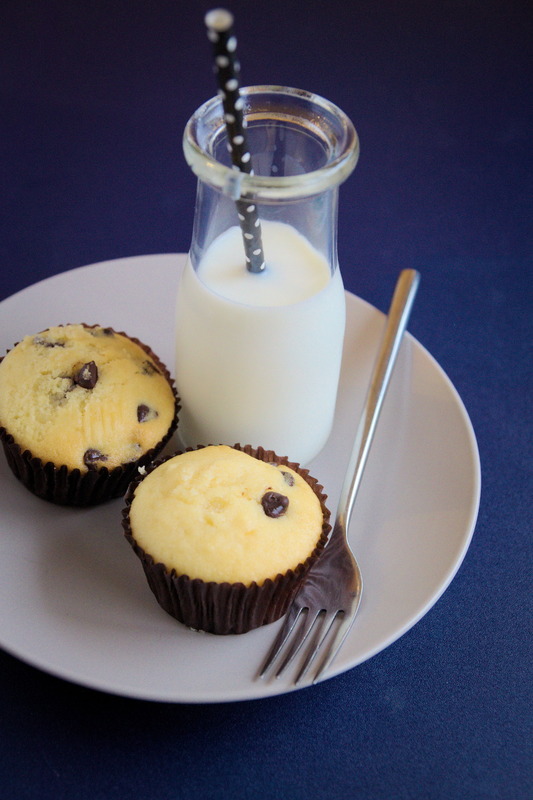 My sister absolutely adores these choc-chip cupcakes, and loves having them as a snack at home or to bring to uni. It’s nothing special- just my usual yellow cake recipe, with a handful of dark chocolate chips thrown in. It doesn’t take me too much effort to make but it’s quite popular, and a batch of these will only last a couple of days in this household. I’m not a huge fan of simple recipes like these- if I were making these for me, I’d jazz them up, perhaps with a swirl of icing on top or something to make them look a little more exciting. But I guess some people just prefer simple! Bake in a preheated 180 degree (celcius) oven for about 12 minutes or until a wooden toothpick inserted near the centre comes out clean. Hi Von, delicious looking cupcakes!